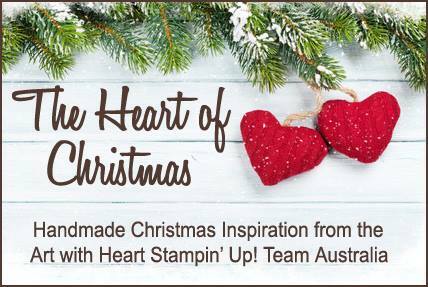 Hi everyone and welcome to week 6 of Christmas inspiration with Art with Heart Stampin'Up Team Australia. 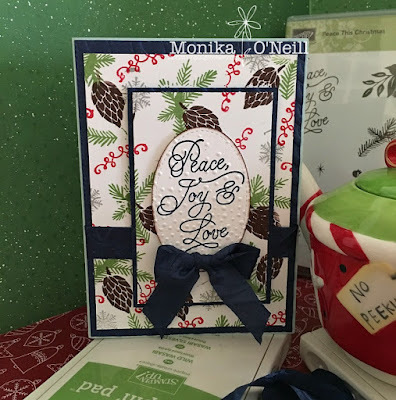 For todays card I did the double stamping technique using Peace This Christmas stamp set. 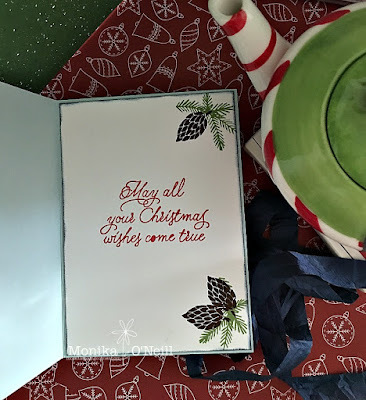 The base of the card is Soft Sky, the mats are Night of Navy cardstock & Whisper White, the ink colours I used are Real Red, Night of Navy, Chocolate Chip and Wild Wasabi. 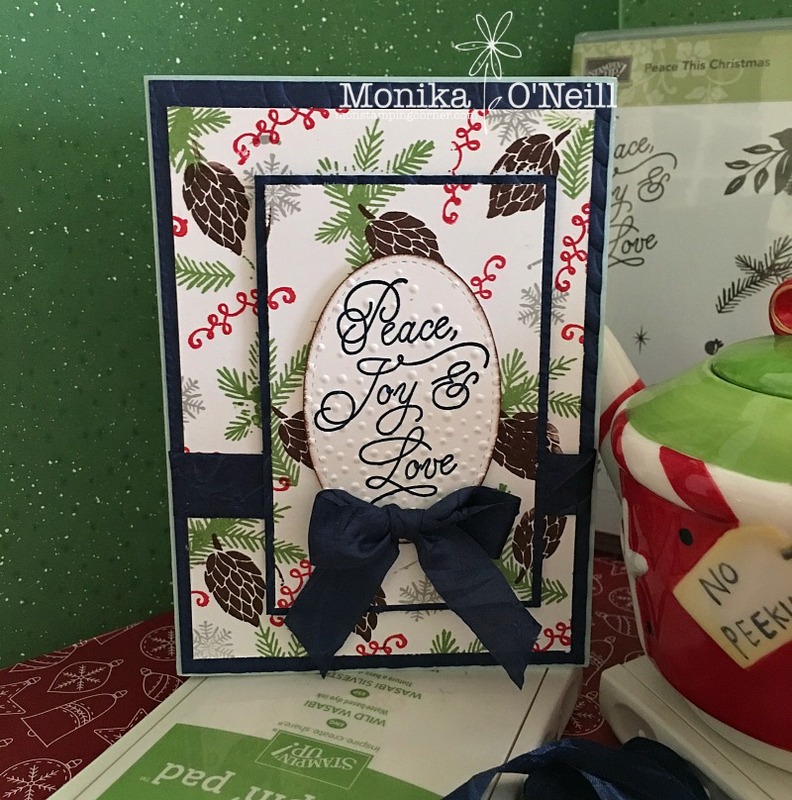 The sentiment is cut out using the the Oval Stitched Framelits and stamped in Midnight Blue and I ran it through the big shot using the Softly Falling Textured embossing folder and to finish it off I used the Night of Navy crinkled seam binding. Here is a picture of the inside of the card, I sponged night of navy ink around the edges. Hope you enjoyed todays cards and will see you here next week. Happy crafting!! !